Newsletter January 2016 - Practical Guide to Organizing - Kay Kan! The New Year brings new resolve and, close on its heels, the urge to spring clean. 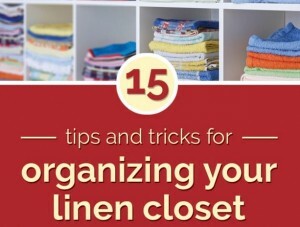 Thus, I bring you a Practical Guide to Organizing. Some quick, easy yet SUPER effective ways to get your year off to a great start. Make one (yes, just one!) specific New Year’s resolution. Once you’ve kept it, add another. Finish sending your holiday Thank You notes. Buy, or make, greeting cards to use throughout the year. Review your collection of cookbooks and gadgets. Do you really need all of them and duplicates? Create a space in the house for wet coats and muddy shoes. Walk through you house and make a list of things that need handyman attention. 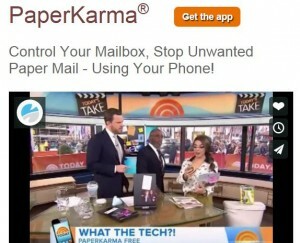 Rid yourself of junk mail – well some of it, at least – by downloading the Paperkarma app ($2.00 per month). You simply send pictures of the address labels on your unwanted mail and the app unsubscribes you from those mailing lists. Link to this app is below. Too many store rewards cards? 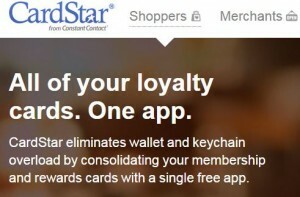 Go digital and streamline your wallet with the CardStar app , the link has been provided below for your convenience. Your treasured wooden table may need some TLC have all the holiday guests have departed. To erase those white water rings first cover with a towel and apply heat (with an iron, being careful not to touch the soleplate to the wood), then polish. To repair scratches in wood with tea (black tea, not green or herbal). Brew tea bag in water and let stand for 2 to 3 minutes or longer for darker applications. Dab the tea onto the scratch(es) with a cotton swab, then wipe away the excess with a paper towel. Or you can choose a wax crayon or a oil-based artist’s paint that matches the finish. Red wine stains in the bottom of glasses, put some denture water into glass and let stand. Coffee stains in your good china cups? Put one part peroxide and 3 parts water and let stand for 15 to 20 minutes. Scratches in your white china – take white tooth paste, rub in until you don’t see the scratches, then wash as normal. To avoid hours of polishing in the future, wrap a few sticks of chalk in cheesecloth and store with your silver treasures. The chalk absorbs the moisture that causes silver to tarnish. Eliminate that nasty odor in the refrigerator by scrunching up a few sheet of a newspaper and placing them in the back corners of the fridge. (Don’t forget the drawers!) Overnight the stench will be gone. Use less elbow grease to clean the microwave by heating water and lemon juice for three minutes in a microwave-safe bowl. Let stand in the microwave for five minutes then simply wipe with a paper towel. Place a layer of wax paper on the top of your kitchen cabinets to catch greasy dust. Change your air filter and vacuum upholstery and carpets. Take some time and toss all expired items from your refrigerator, pantry and vanity.